Learn to balance the healthy + party life with L.A. DJ Katie Otro who’s currently living in Ibiza, Spain. I fell in love with Ms. Otro when she posted that she’d brought her juicer with her to her summerlong club residency on the island. For those who own a masticating juicer (which can easily weigh up to 20 lbs) know that’s some dedication! Although my orginal plan was to catch up with Katie in person while in Europe, hopefully she will instead come see us in Mexico soon. I love to dance and I love her music. Check out the DJ Katie Otro remix of “Back Around” from the Masters at Work House legend Todd Terry. You’re living in one of the party capitals of the world that seems to have just as many yoga studios as beach clubs. Do you think there is a misconception that every person that likes to party is automatically unhealthy? Absolutely, there’s often a misconception that if you like to go clubbing or DJ, then you must live the associated clubbing lifestyle. However my whole world is dance music, and I manage to do it without drinking or taking drugs. I find that a lot of DJs are actually into having a healthy lifestyle. Louisahhh!!! is very open about living a clean life style, Diplo is a work out fanatic and Steve Aoki has an obsession for juicing, to be able to have the stamina to play so many gigs in different time zones across all times of the day means you need to take care of your mind, body & soul. What’s your advice for anyone who works late nights who still wants to enjoy the day? I find that a good yoga class and cold pressed green juice are two things I can rely on to set me feeling good after not getting much sleep. Also, going to a spa and steaming, getting into the ocean or a swimming pool also feels great after a long night too. There’s something about immersing yourself into water that feels very restoring. 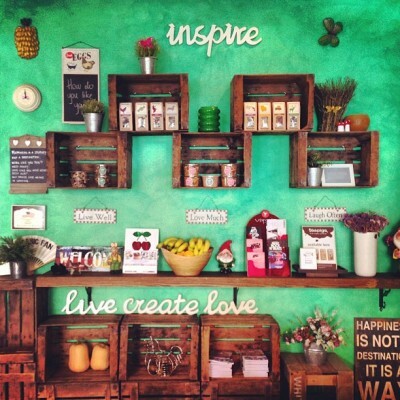 Where are some of the best place(s) to get healthy food/juice & what’s your favorite food? Right now I’m based in Ibiza for the summer, so on the island my current favorite restaurant is Passion Café. 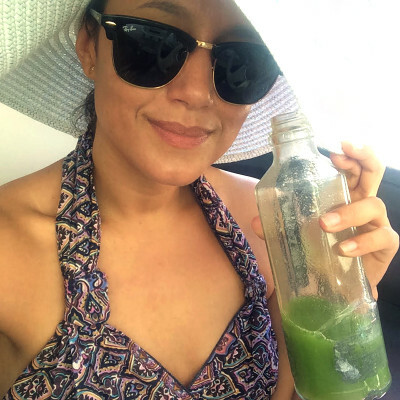 There are a few of them scattered across the island and they have a really good offering of juices and superfoods which are amazing when I’m on the go and need something tasty but nutritional. Richie Hawtin actually has Passion Cafe cater his European flights and Ibiza villa as their food is so good. 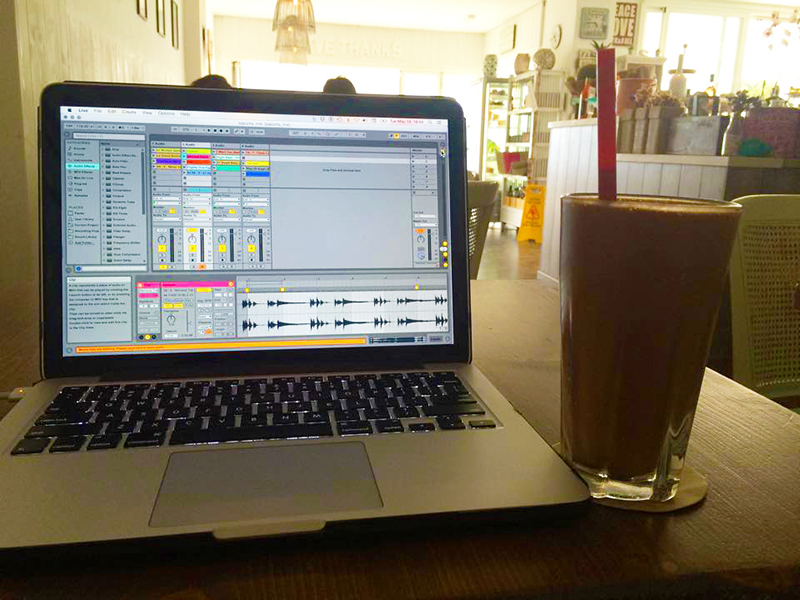 I like to work on music at Passion Cafe while trying their different energy balls. 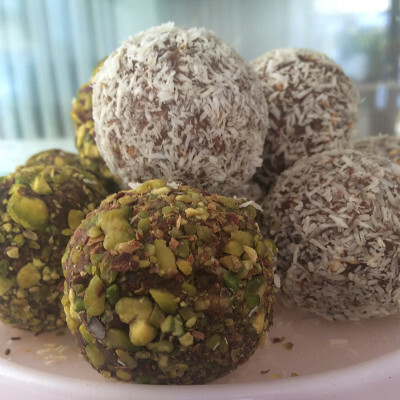 I also make them at home. These are essential for playing long sets. What’s the best juice combo you’ve made? My favorite is simply all greens with a bit of spice. Celery, cucumber, cabbage, spinach, lemon and ginger keeps your insides clean and skin glowing. What’s the worst juice combo you’ve made? I thought it would be clever to add green juice to a green smoothie. In theory I thought it would add more vitamins but when mixed, it did not blend well at all – it was a kind of lumpy juice – not nice! Do you detox? If so what’s an example of your regimen. Yes I do a couple of different detoxes. 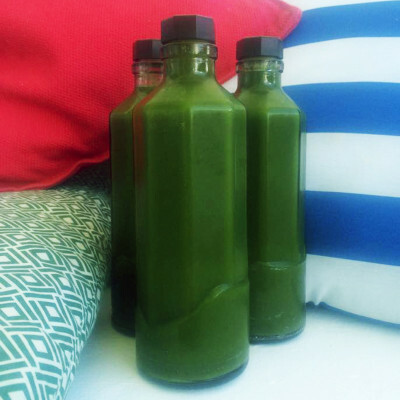 One of my favorites is a three to seven day green juice detox. If I get readily hungry or fatigued during the detox I will have a banana or a smoothie to give me a bit of a boost. This is the refit way to give your digestive system a rest from processing so much and allowing the enzymes to go straight into your system – it always makes me feel incredible. 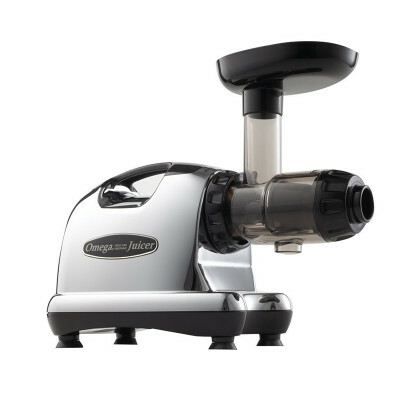 What brand juicer do you have and how happy are you with it? Omega Cold Press Juicer is my homie – I use it every day!